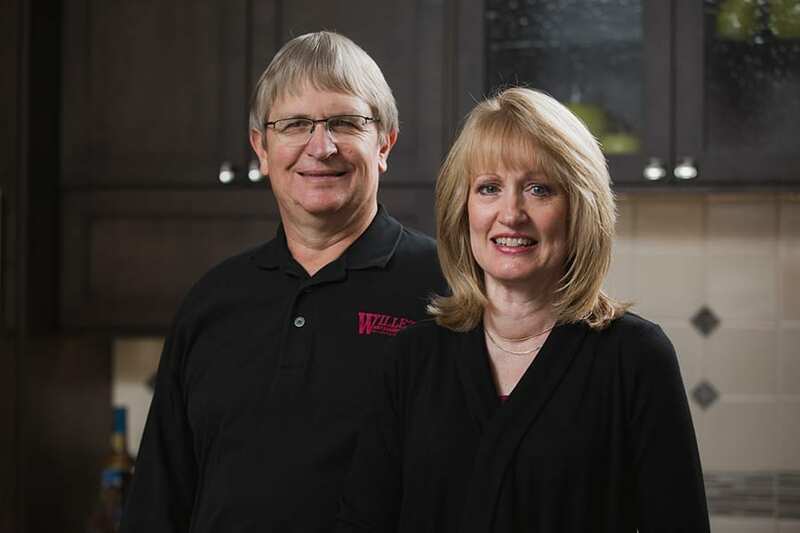 Who We Are — Willet Construction, Inc.
Rick and Marcia Willet created Willet Construction in May, 1995 with a goal of satisfying customers with top-quality craftsmanship and using top-quality materials and subcontractors to make each construction project an enjoyable experience. We strive to develop and preserve long-term relationships with our clients and to be recognized as one of the premier Remodeling Contractors in Lincoln and the surrounding area. As a fully insured and state-registered construction company, Willet Construction offers many types of services to our customers. James Hardie Fiber-Cement Siding Products has named Willet Construction as the only Preferred Remodeler trained and specialized in James Hardie products in Lincoln, NE. Our services include complete design/build drawings in 3-dimensional viewing. Our team has produced projects of all types and sizes including whole house remodels, large and small additions, kitchens, bathrooms, sunrooms, basements, living spaces, attic finishes, siding replacement, window and door replacements, screened in porches, decks, and garage additions. Our craftsmanship is seen through trim work, interior finishes, framing, tile setting and flooring. There is no project too big or small for us to create a “top-quality impression”.